Simplify Your Medication Management with SyncRx at Port Allegany Pharmacy! What is the SyncRx Program? The SyncRx Program is a coordinated refill program designed to simplify medication management for patients by synchronizing all of the patient’s prescriptions to be filled once monthly and refilling those prescriptions each month for your convenience. Increased convenience – a single monthly trip to the pharmacy or a single home delivery each month. Peace of mind from being able to get medications on time and in one order. More personal contact with your pharmacy to discuss medications and ask any questions. Increased understanding of your medication, its purpose, potential side effects, and cost. 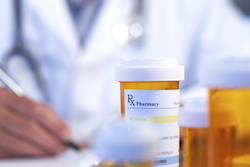 Pharmacy will work ahead to make sure you have refills on your medications. Free delivery on or before your SyncRx refill date. What will be expected of ME as a patient enrolled in SyncRx? Accept and participate in ONE phone call each month from the pharmacy to discuss your prescription refills and medication profile. Have prescriptions included in SyncRx processed and filled for a one month supply. Pick up medications on agreed upon “Appointment Date” (pick-up date), or if you prefer have your prescriptions delivered using our free delivery service. Keep an open dialogue with your Port Allegany pharmacists regarding doctor’s appointments, hospital/urgent care visits, and changes in my health status. Allow our pharmacists to discuss your medication profile as part of our SyncRx program with your caregiver(s). Is it possible to involve or at least notify my physicians of the SyncRx program and my participation? Absolutely. The success of the program is directly tied to communication with your physicians. This is one of the most basic benefits of SyncRx for you. By reviewing your medication profile on a MONTHLY basis with YOU and YOUR physicians, we will assure that we’ll all be on the same page. How will my ‘Appointment Date’ (pick-up date) be determined? Our pharmacists and pharmacy technicians will work with you in determining an ideal Appointment Date. 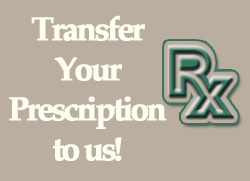 We will look to synchronize your medications in the most convenient and cost efficient manner for you. How long will it take to synchronize all of my medications? Time to synchronize will vary based on several factors including the complexity of your medication profile and our strategies in minimizing the potential out of pocket costs in the one-time synchronization of some of your refills. Most typically, we are able to sync your meds within a couple of months with our goal being no more than three months from enrollment to synchronization. Is it likely my monthly Appointment Date will change from time to time? Yes. It may be necessary to move your Appointment Date a day or so since not every month consists of 30 days. The appointment Date may need to be flexible at times to allow changes over the course of a 365-day year. This flexibility will help to accommodate due dates that are not in line with patients’ travel schedules, illness, or other issues that could prevent you from coming in on an exact date. What happens if I can’t pick up my medications on my synchronization date? The timing by which the prescriptions are picked up may affect subsequent Appointment Dates for you. For the program to be successful, it is important to pick up medications ON, or have them delivered for free (extremely close-to) the mutually agreed upon Appointment Date. Your active participation and cooperation with SyncRx and our pharmacy team is valuable to the success of the program. Will every one of my medications be included in the SyncRx program? Not necessarily. Some medications may not be good ‘candidates’ for the program, such as seasonal medications, creams, ointments, eye drops, and ‘as-needed’ products. What if I opt-in but decide I am unable to participate at a later date? You would simply notify the Pharmacist. As a reminder, you would then be responsible for ordering your prescriptions or participating in our Auto Pre-fill or Refill Reminder program from that point forward.